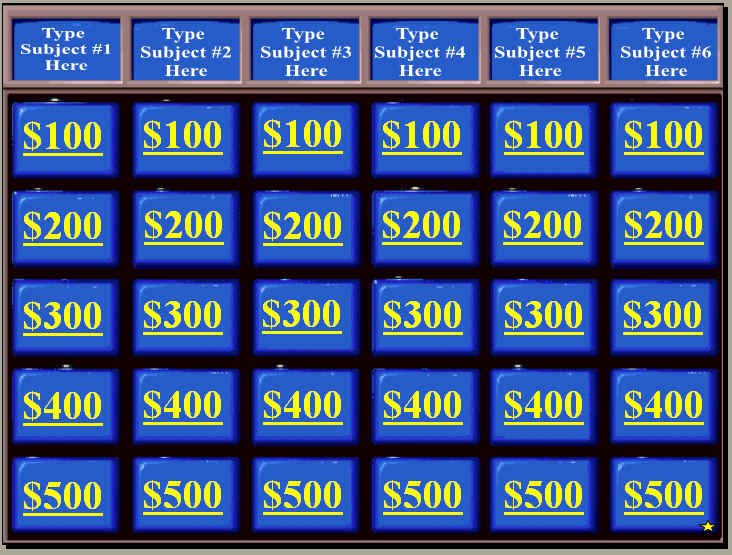 When you finish the first Jeopardy game, click the "STAR" at bottom right hand corner to begin Double Jeopardy. When questions are all answered, click the "STAR" at bottom right hand corner to begin "Final Jeopardy Question". Have each team write down their wager and start question. Fill in "Title" on Slide 2 and 3. Begin filling in Questions and Answers in each of the slides. 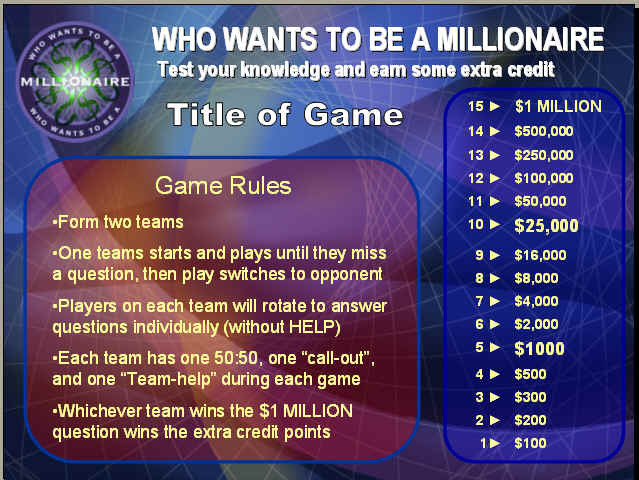 The correct answer choice is title "Correct Answer"
Remind each team they can use a single "Phone Call" or 50:50 during the game. They can also use a "Team" if you are having students individually answer questions. Begin entering questions and answers. 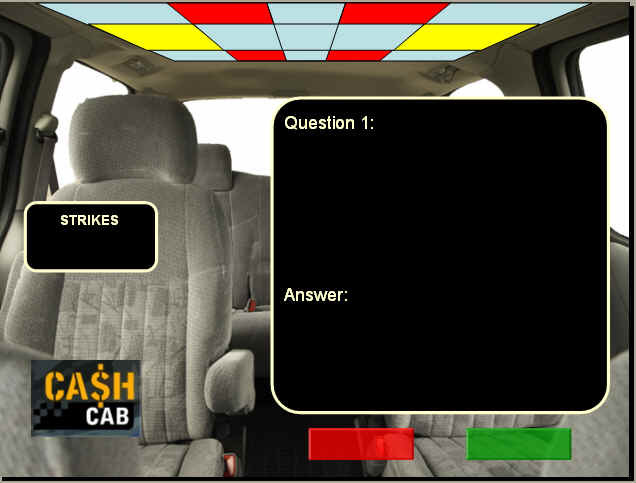 For most of the questions, you will have to copy/paste questions and answers for multiple numbered questions (because of strikes, etc., there is more than one slide labeled "Question 3". You will need to duplicate the questions and answers on each of them. The links on this page connect students to resources, which are recommended because of their educational content and value. I do not intend your child to visit any pages beyond those to which I have provided specific links. We recommend that you supervise/monitor your child's Internet activity at all times.